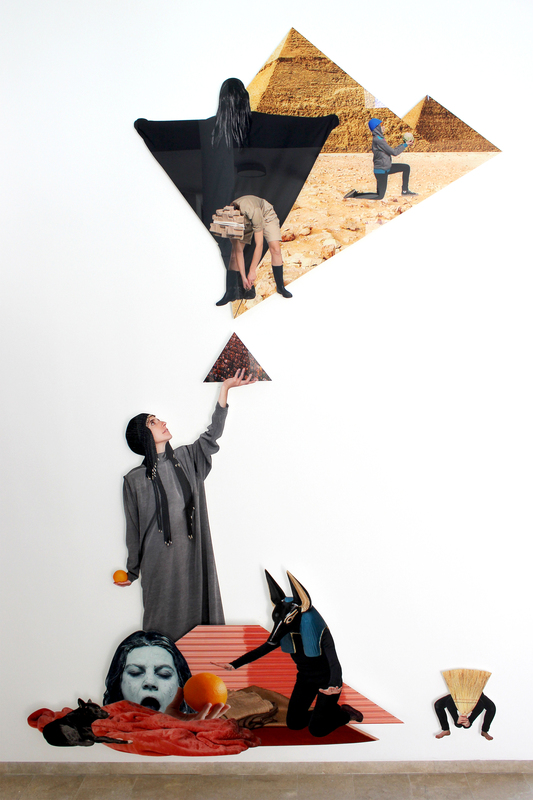 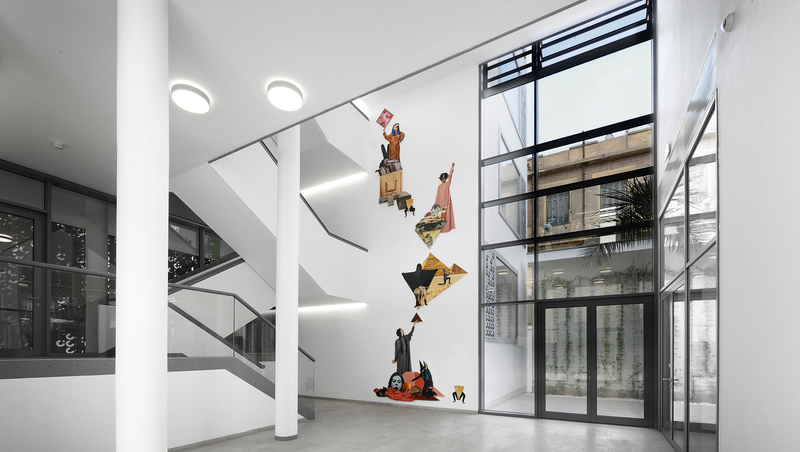 With this wall size photo-collage-tableau artist duo J&K have created a complex imagery for the foyer of the Goethe Institut’s new building in Cairo commissioned by The German Federal Office for Building and Regional Planning (BBR). 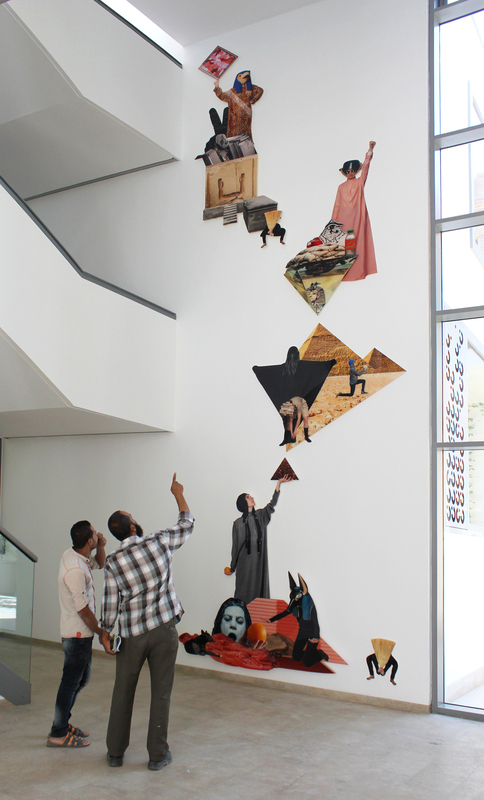 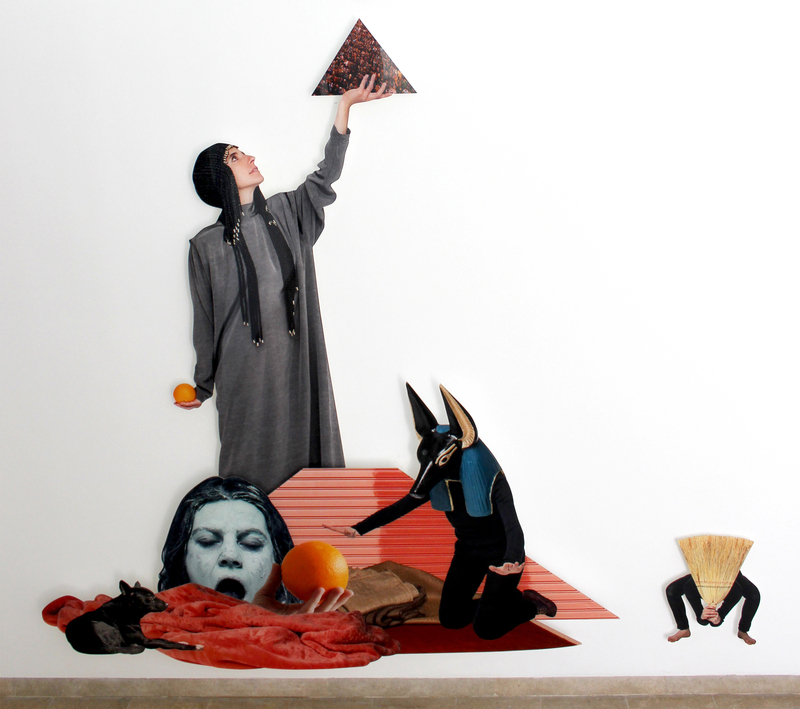 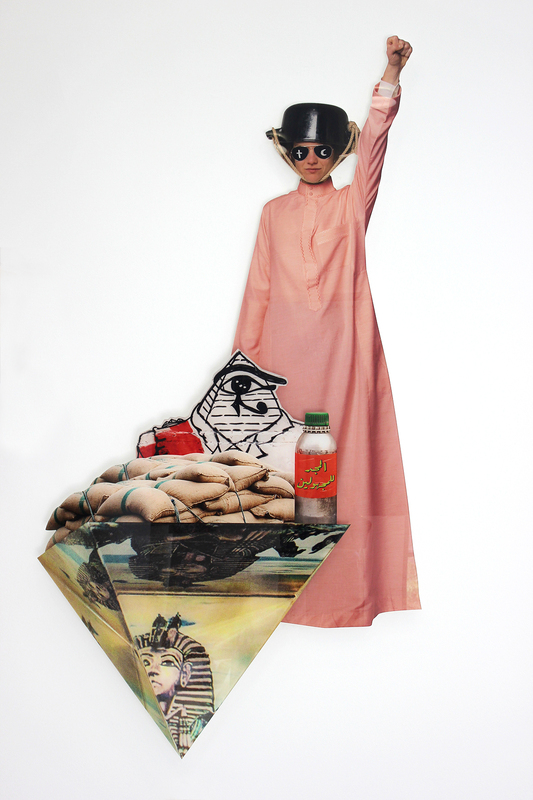 They present a queer, fictive mythology that draws from both ancient Egyptian symbolism and revolutionary iconography. 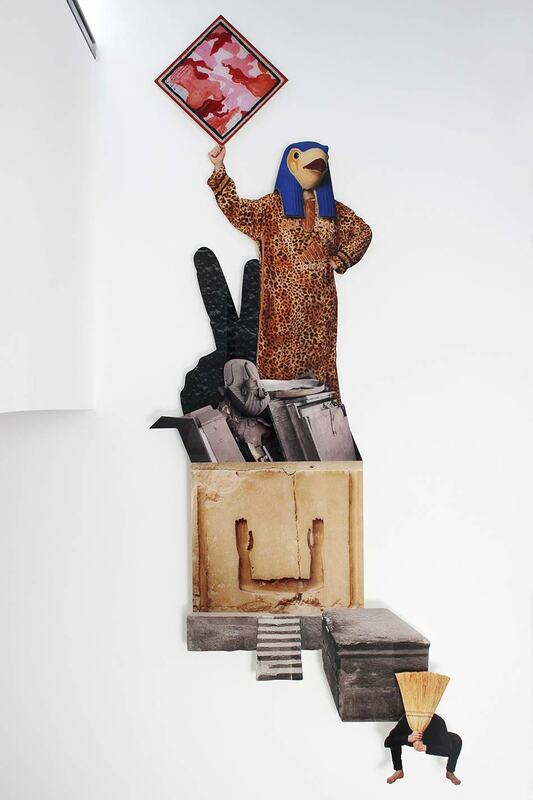 “Glory to the Unknown deals in death and triumph, fear and optimism, the potential for violence and the potential for peace, ultimately reaching for reaching a hope-filled climax (…) that feels impossible, but is important to try to imagine” (A. Szremski).